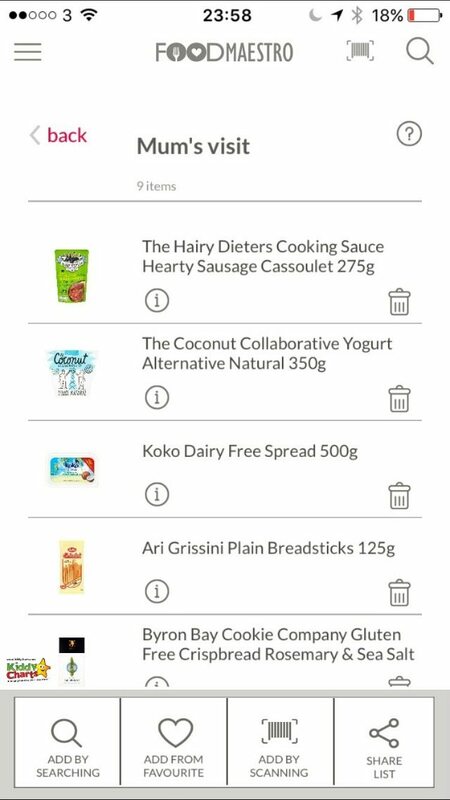 What is the Food Maestro App? Filter, where you can exclude whole areas of ingredients, such as Fish, Garlic, Dairy, or Kosher friendly products. In total, the app allows you to exclude over 200 different ingredients dependent on your particular family circumstances. You are able to set up separate profiles within the app to allow for different dietary requirements. Sausages with no MEWS (Milk, Egg, Wheat, Soya free). There are 18 recommended lists on the app in total. Finally, you can use your smartphone camera to scan the product at the supermarket to check its suitability before you buy it. This includes being able to see how many teaspoons of sugar each item has. 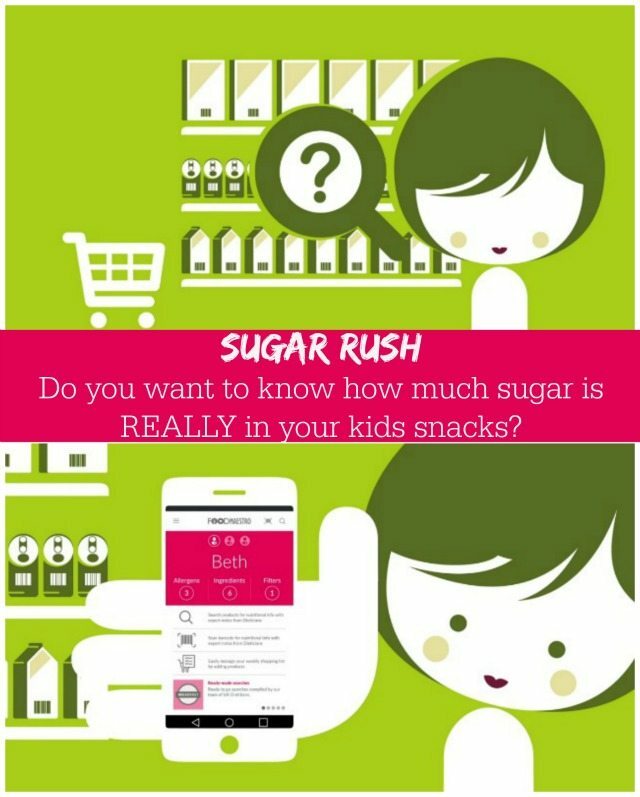 This is a great way to measure it because kids can actually relate to this, so they really understand the sugar content of what they are asking you to buy. More information on the app is available at the Food Maestro website, which also allows you to search. In addition, do take the time to nip over to their Twitter account, where you can get the latest news as well. Image Credit: Photos of the app have been taken by screenshot, or from the Food Maestro website. Copyright owned by the company for those from the site.